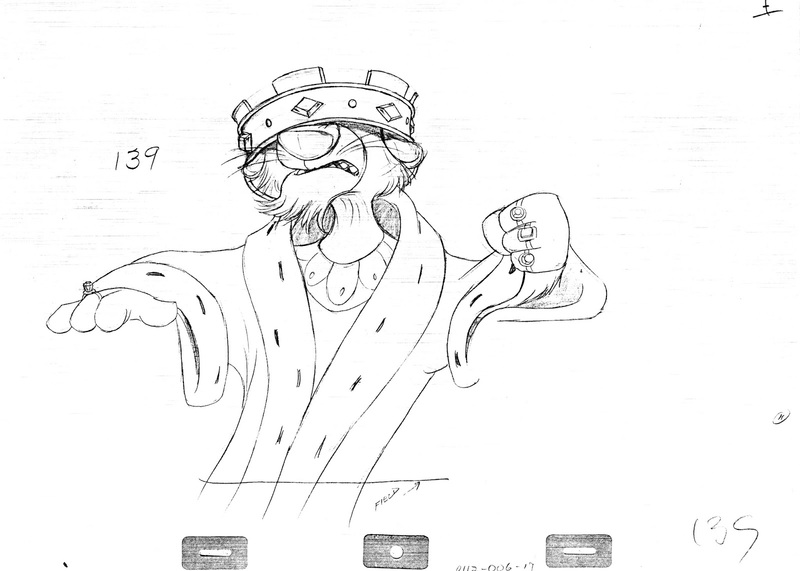 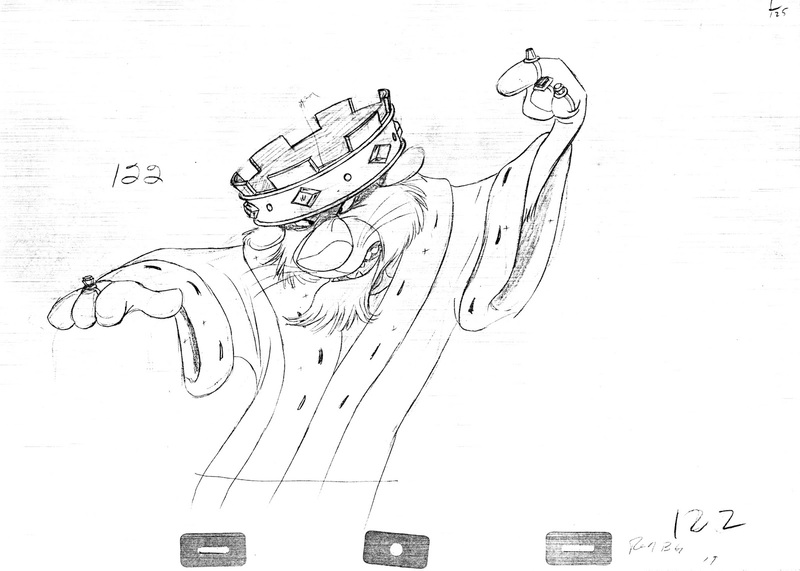 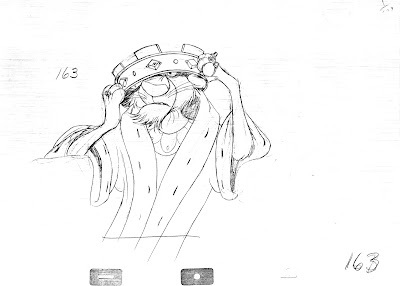 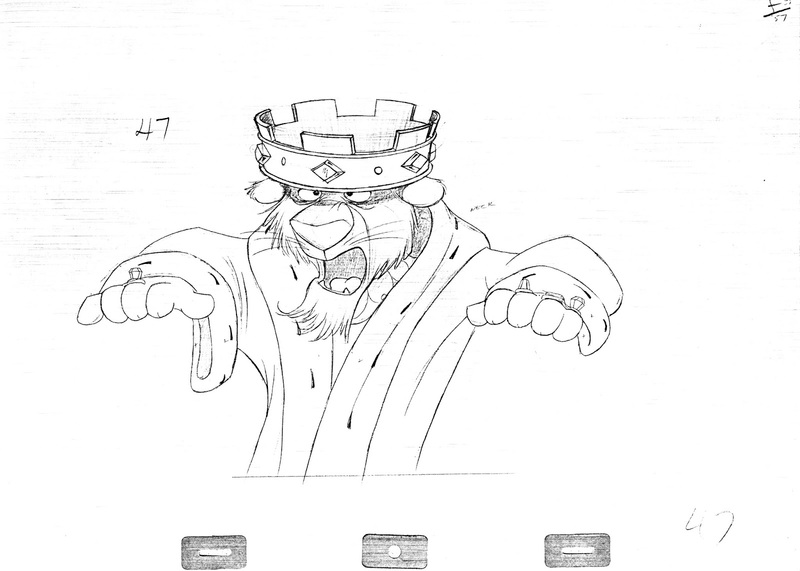 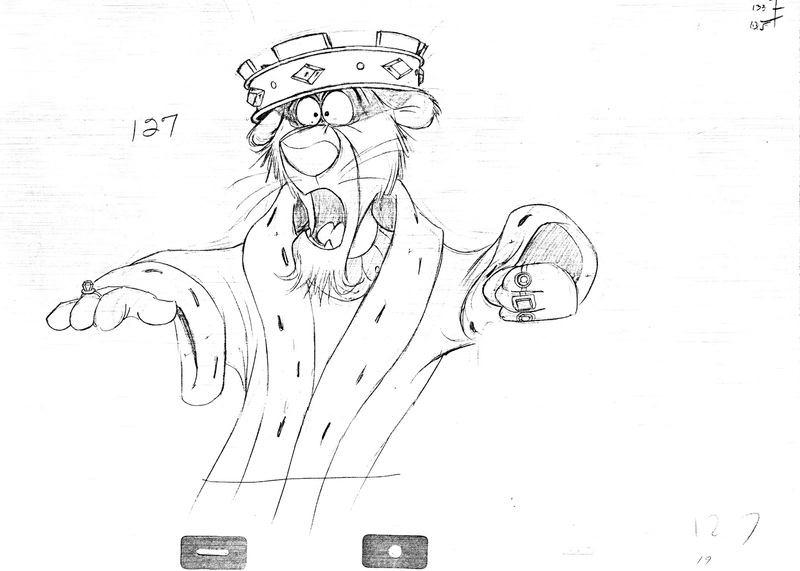 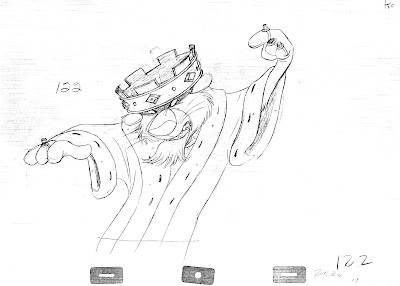 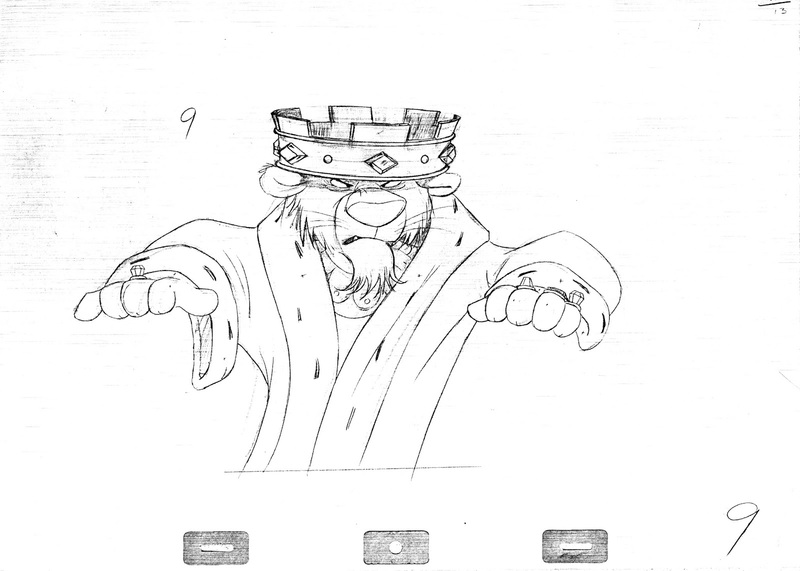 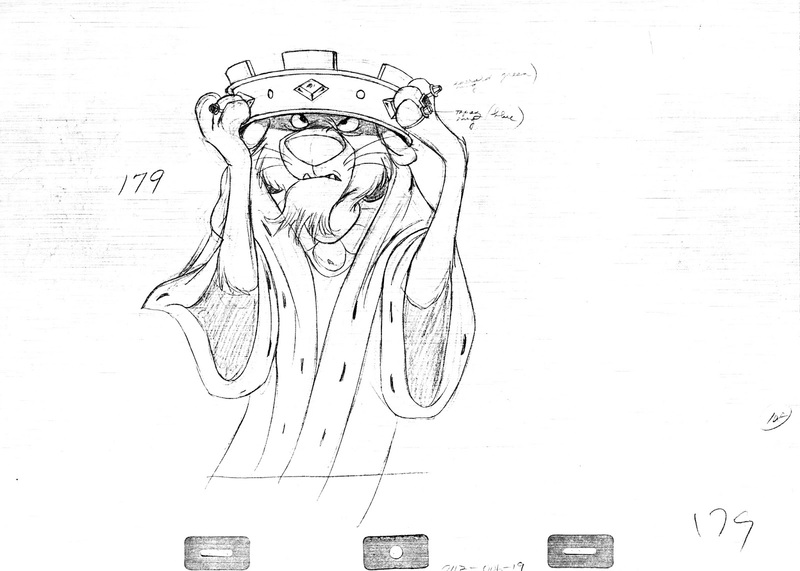 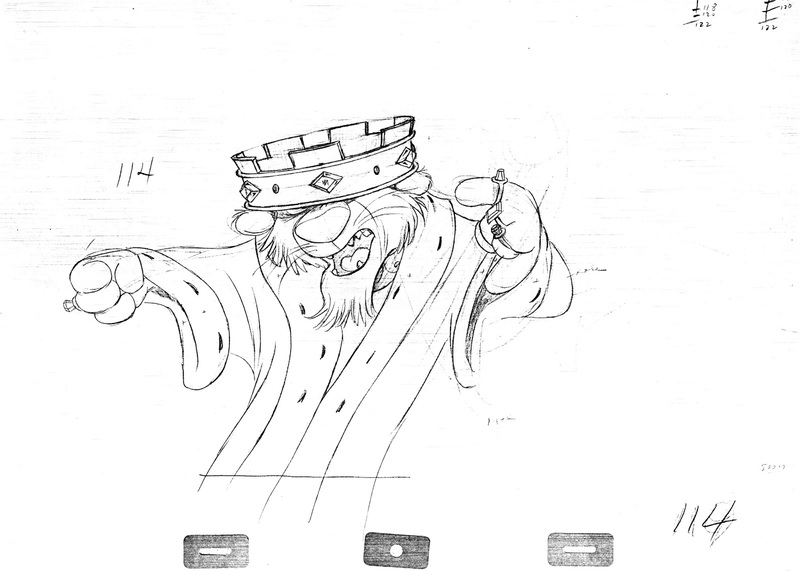 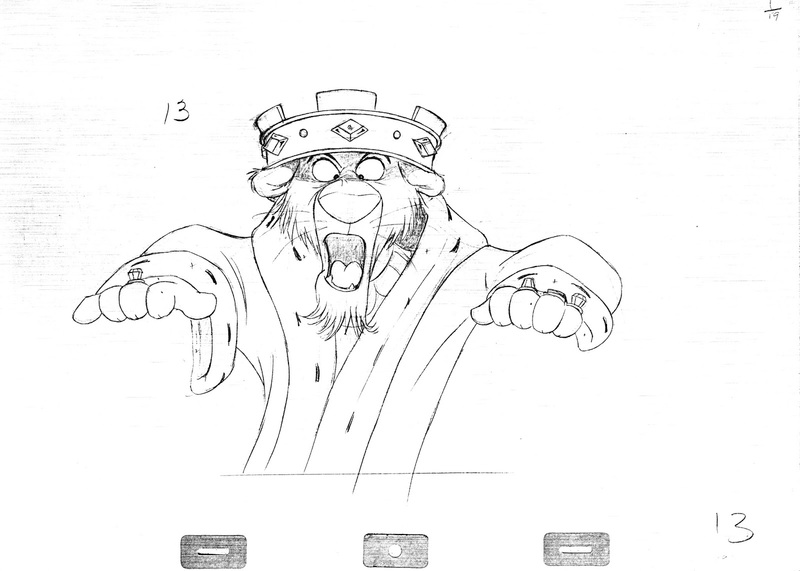 A beautiful scene with Prince John, animated by Ollie Johnston. 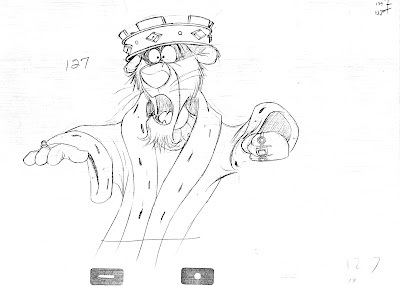 The character is very consistent throughout the film -drawing and personality wise- because Ollie handled just about every scene with Prince John. "That insolent blackguard...ooh...I'll show him who wears the crown.". 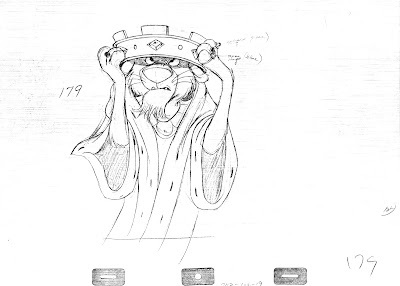 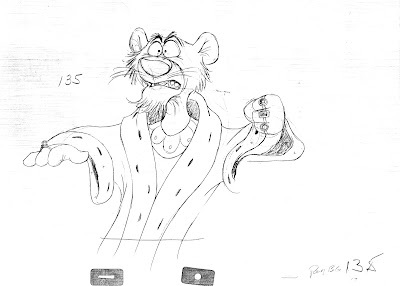 MCU - Prince John reacting to the mention of Robin Hood's name - slams paw down on arm of chair, which causes crown to bounce off his head and down into position covering eyes. 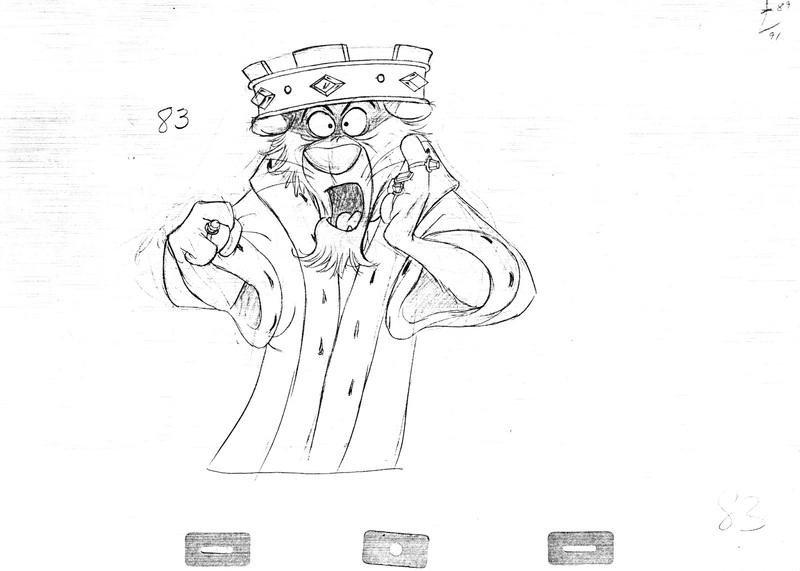 The action goes great with the dialogue, because obviously he is not wearing the crown very well. I also love how fast he raises his arms on "ooh", he goes from being upset to severe outrage. Great overlap on the heavy sleeves. 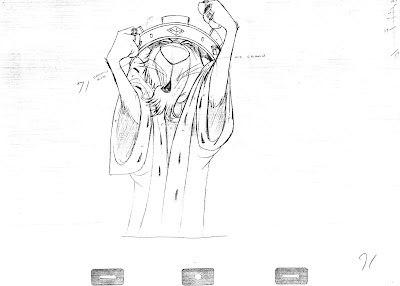 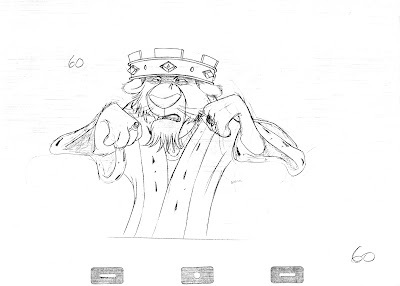 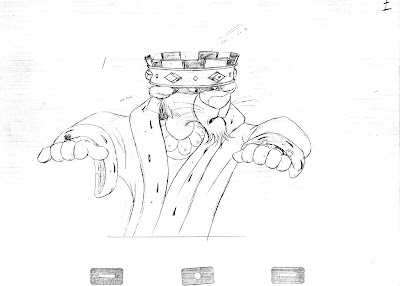 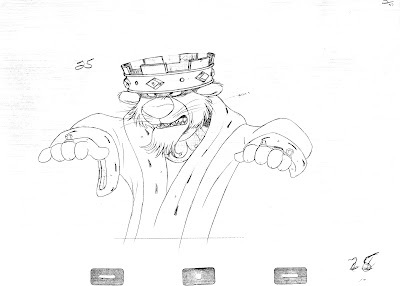 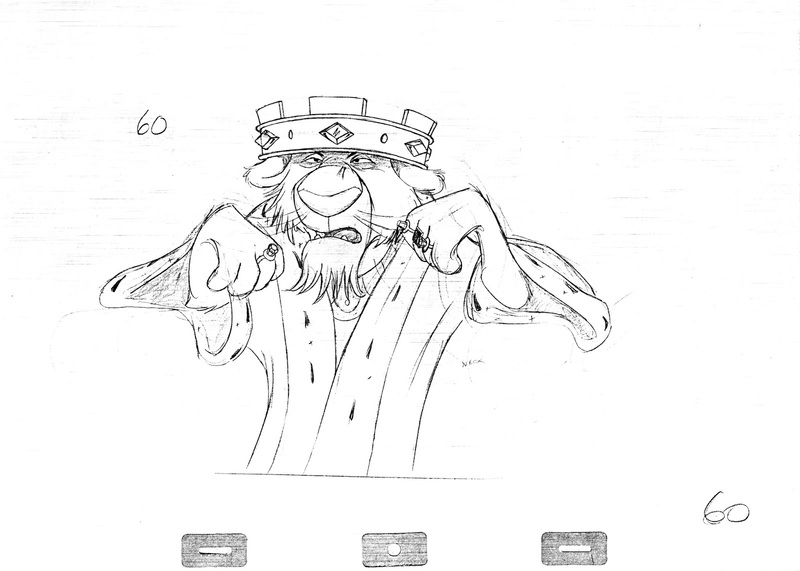 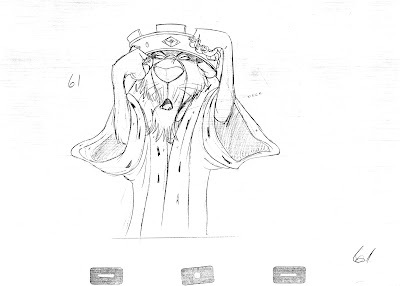 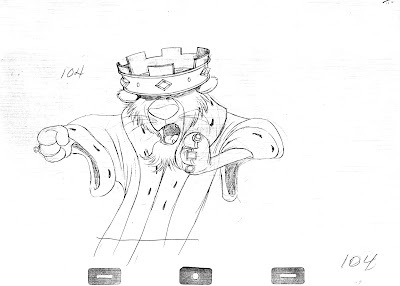 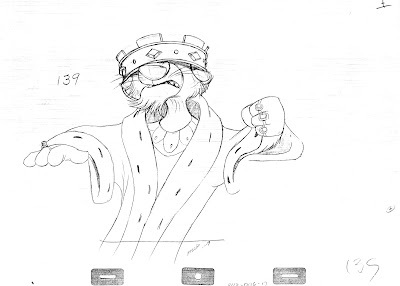 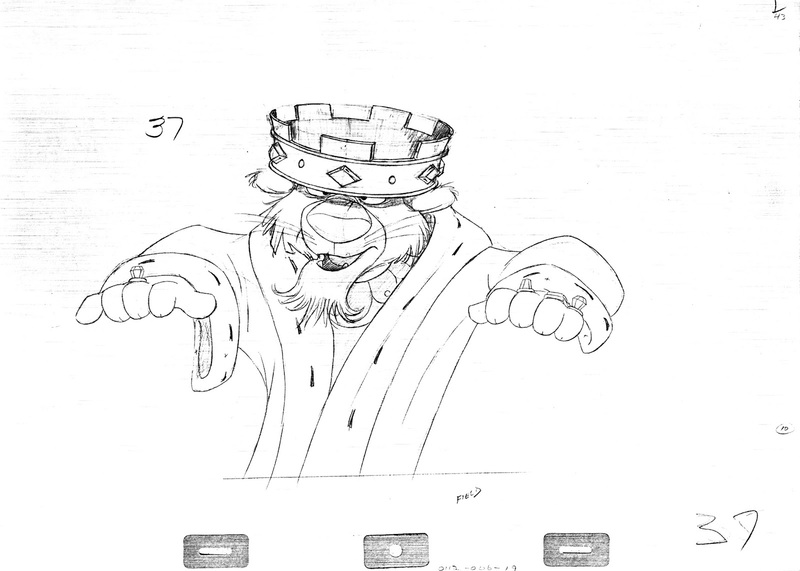 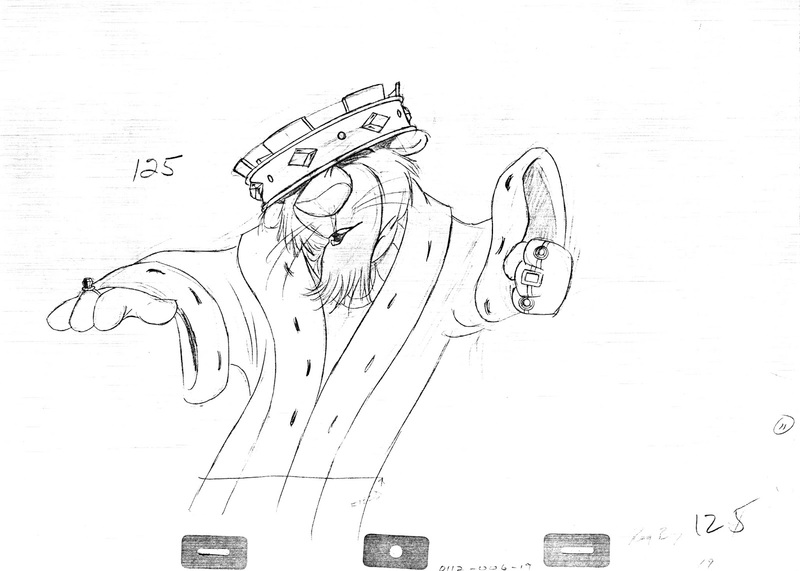 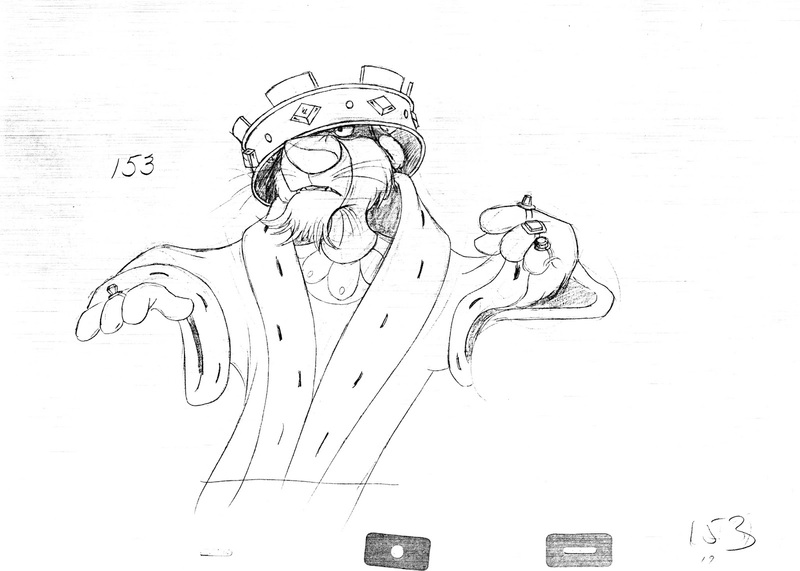 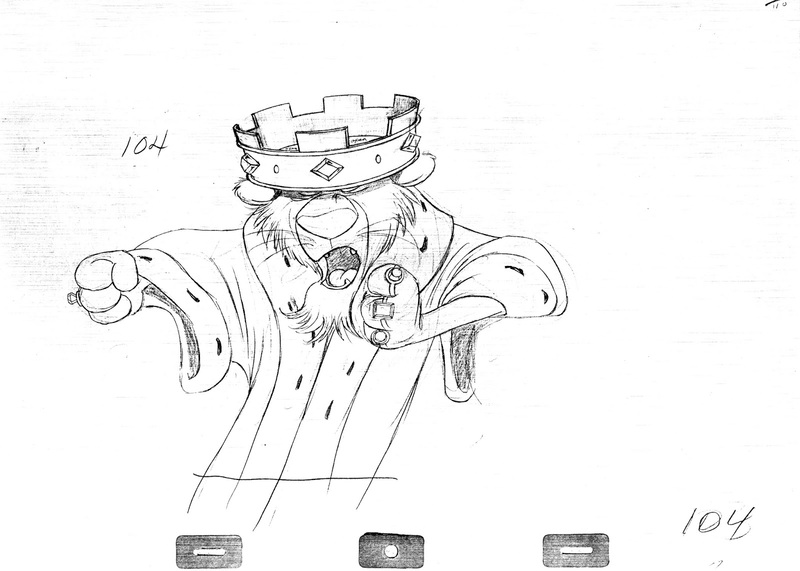 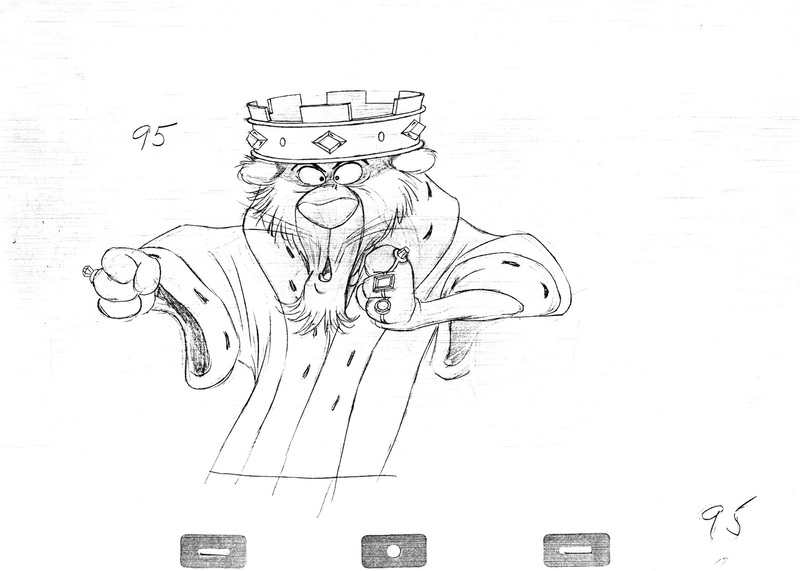 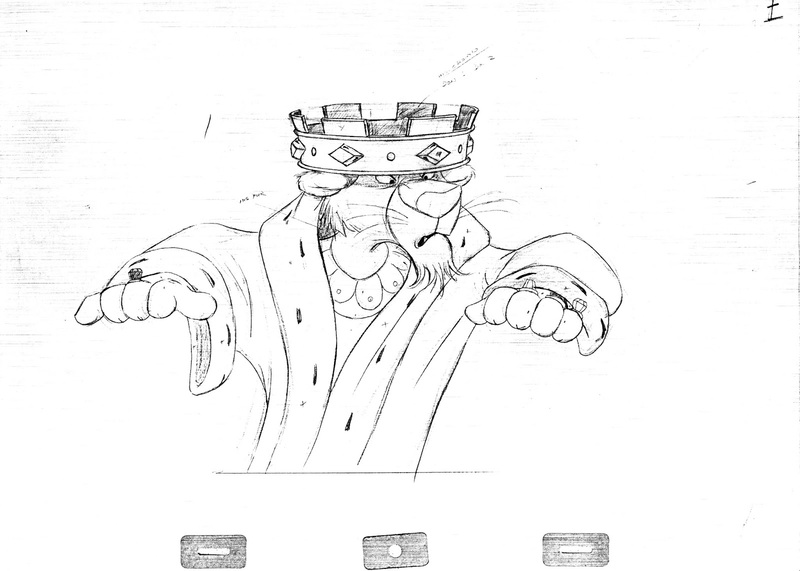 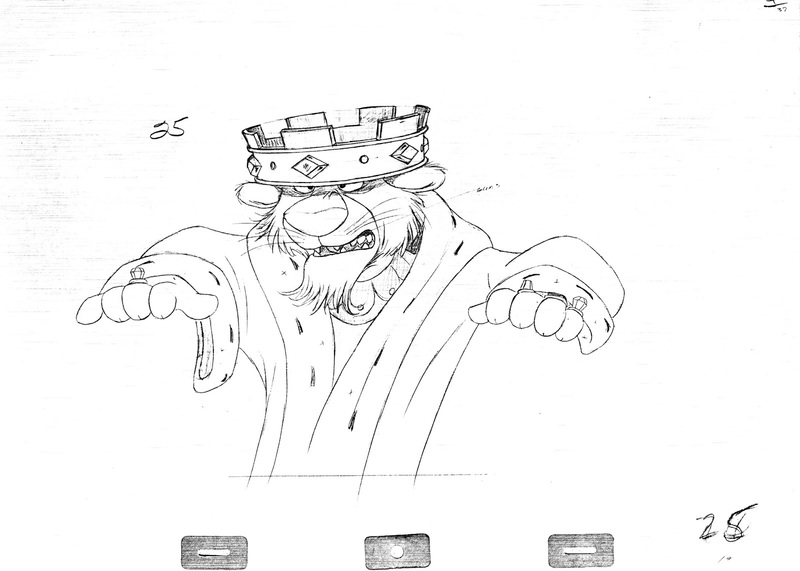 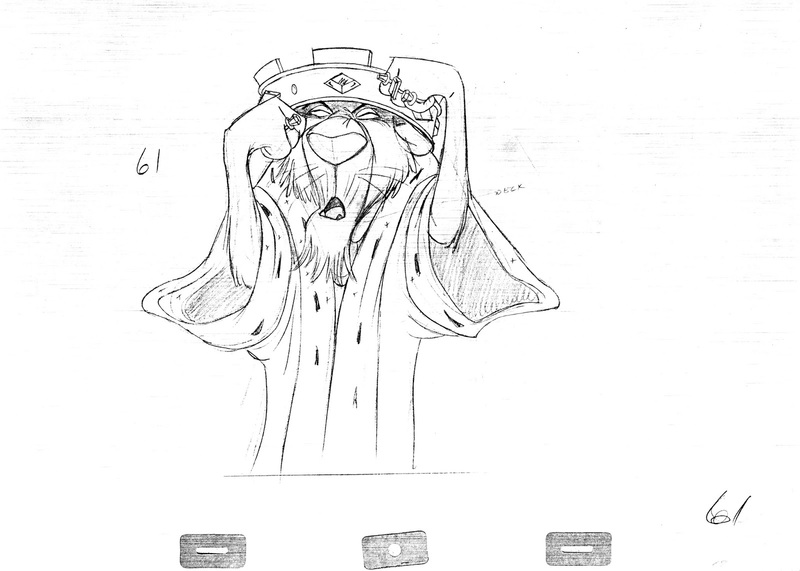 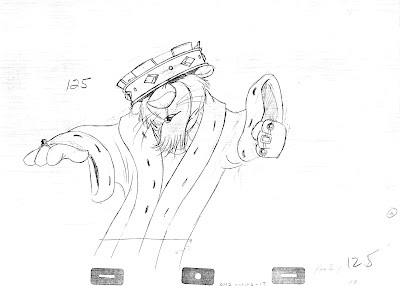 Did anybody notice that up until frame 60 Prince John has five "fingers", but from then on shows only four?